Newman student Tammy Nguyen decided she needed to step outside her box and take on a new challenge in order to grow personally and professionally. That is how she became involved in Miss Vietnam Wichita, a pageant that gives young Vietnamese-American women an opportunity to build leadership skills and confidence all while learning about their rich Vietnamese culture. The winner of the June 9 pageant goes on to compete in the Miss Wichita Asian Festival pageant in October. This was Nguyen’s first time competing in a pageant and she said it didn’t come without its nervous moments. She said her most nerve-wracking moment was when she dropped her fan during her talent portion. She said in that moment, it felt as if time stood still a bit and she wasn’t really sure what to do, but ultimately picked it up and kept going. 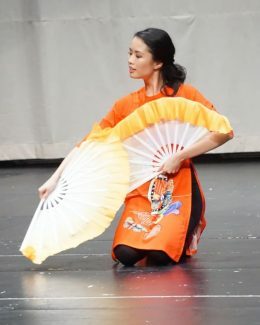 Other portions of the competition included introductions in both English and Vietnamese, including stating what platform they chose, an interview and competition in evening gown and áo dài, a Vietnamese traditional garment. Currently, she works at a Vietnamese medical clinic as a translator. Nguyen said her time as a student at Newman University helped prepare her for the pageant in different ways. “I was a member of the Asian Student Association, and as a biology major, I spent much of my time in lab rooms. I was an organic chemistry lab assistant and the pre-pharmacy representative for NUMPC (the Newman University Medical Professions Club). That was the most professional thing I’d done up until now. I had to reach out to peers, faculty and deans from (Wichita State) and (The University of Kansas) to coordinate events. 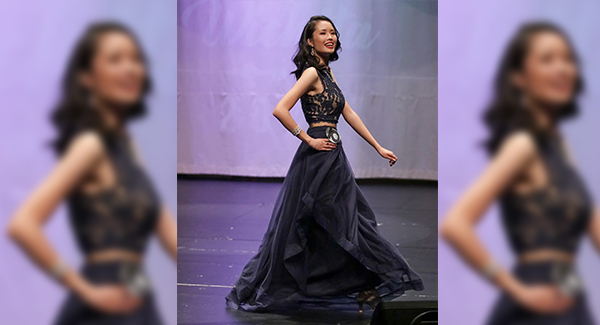 In the end, Nguyen was named first runner-up along with receiving two other honors — Miss People’s Choice and Miss Interview. She received cash prizes for all the honors she was chosen for and she plans to use that money to give back to her community. Nguyen will move on to pharmacy school in the fall, attending the KU School of Pharmacy in Wichita. 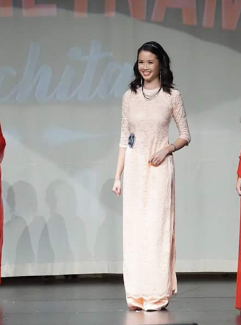 While she is working toward becoming an ambulatory pharmacist, she will continue to stay involved in Miss Vietnam Wichita as a mentor for the girls participating in next year’s pageant.